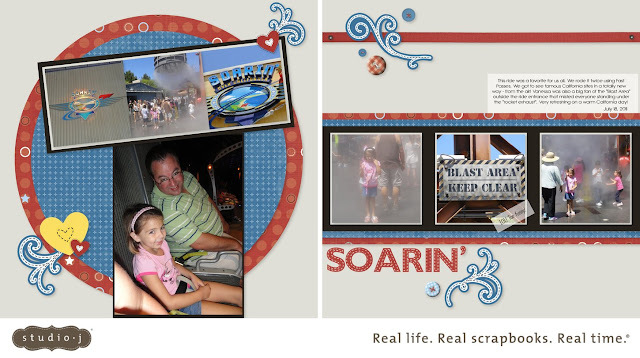 I have used Studio J to create another fun layout from our trip to Disneyland last summer. We rode the Soarin' ride and it's great - you really do feel like you are soaring over California! Here are a few details about how I created this layout. I really do love the easy and flexibility of digital scrapbooking with Studio J. Beautiful scrapbook pages are just a few clicks away!